This is a 12" 20L model with a figured walnut neck and rim. 20 L-shoe B cast bronze Buckbee replica shoes. 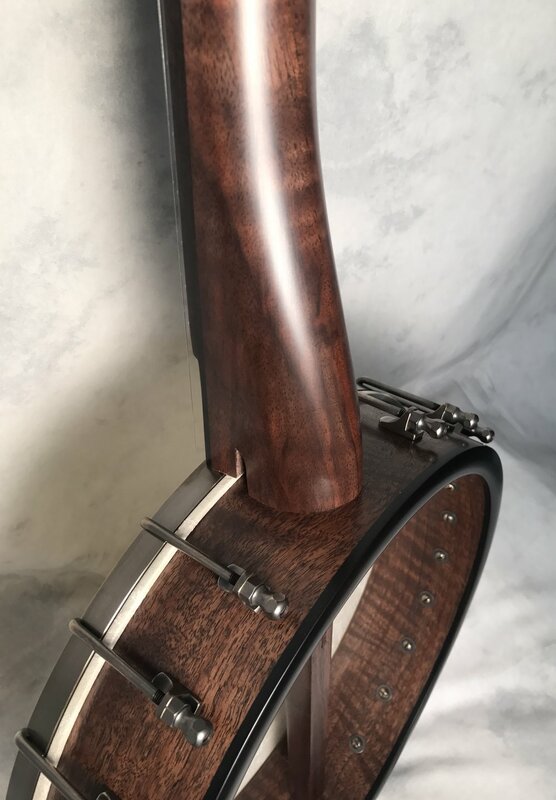 No tone ring on this banjo, just a 1/4" turned bead onto the top of the walnut rim for a woody sound. Antiqued hardware and a goat skin head. This banjo went to Parkersburg, PA.